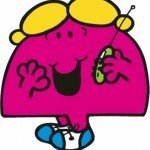 As a kid I loved the Mr Men and Little Miss books. They were perfect for me. They were short, concise, and to the point, and they taught me life lessons without actually teaching me – perfect! When I look back, I realise how very clever those books were and how powerful their messages were. We could still learn a lot from those characters . I’ve been thinking about the correlations with our social media training. We don’t just teach people which buttons to press – we teach people to get social media. 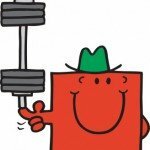 Mr Strong: Mr Strong is very, well, strong. He can lift and bend anything. He’s unstoppable! This is put down to his consistent diet – it’s what gives him strength. Being consistent is important. 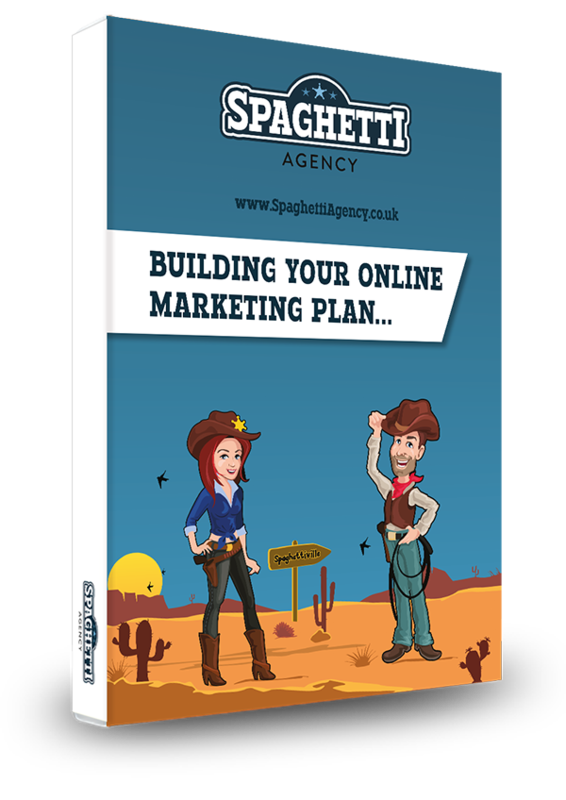 Your marketing needs to have a consistent feel to provide it with a strong recognisable base to work from. Just like Mr Strong’s diet, a good base makes your social media strong! 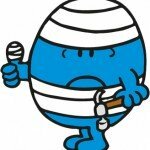 Mr Bump: Mr Bump is clumsy and doesn’t look where he’s going. He’s forever making mistakes and knocking into things. He lacks direction. Planning and strategy help you get where you’re going without too many bumps. This is exactly what you should do for your social media. Plan where you’re going and try to avoid bumping into things along the way. 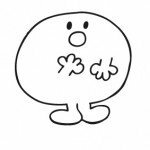 Social media needs focus and direction just like Mr Bump does. 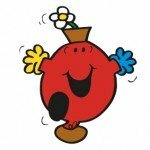 Mr Happy: Mr Happy turns that frown upside down. He makes everyone feel happy as he’s always nice and friendly and doesn’t moan or talk negatively. Being upbeat and happy on social media attracts people to you and your brand, too. Be positive about your business, your customers and your day – and just watch people engage with you because of it. 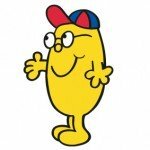 Mr Happy also doesn’t care he’s fat. He’s just round and happy! We can emulate that by simply understanding that being ourselves is powerful. Be you; it’s important to your marketing. 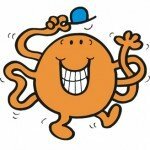 Mr Tickle: Mr Tickle disrupts everyone’s day and gets their attention. He tickles and makes people laugh and generally causes a stir. Can your social media do this? 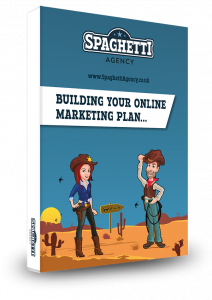 Think about how you can tickle your audience and potential customers? How can you disrupt their day and get noticed? It’s really busy out there so you need to think of something fun and different to get noticed. 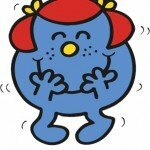 Little Miss Chatterbox: Little Miss Chatterbox chats a lot! She speaks all the time but rarely listens. She spends all day talking about herself and generally others can’t get a word in edgeways. Don’t do this with your social media. You must listen to social media as well as speak on it. Take an interest in what people say and add to their conversation. Often you’ll get more by listening than you will by shouting out your message. Little Miss Giggles: Little Miss Giggles laughs a lot. She’s always enjoying herself. They say that laughing keeps you young and it’s good for your mind and body, too. Have fun on social media – it’s not a serious place. 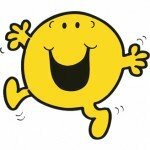 People warm to happy people and giggling is infectious – can you infect your audience with humour and positivity? 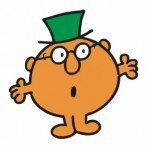 Mr Clever: Mr Clever knows everything! He knows lots of facts and he’s very proud of his knowledge. If you know something that others don’t, then share it. Hopefully you know a lot about your business and your industry. Share it on your blog and social media and prove you’re worth talking with. Mr Daydream: Mr Daydream doesn’t get a lot done. He daydreams and spends most of his day thinking about anything but what he’s supposed to be doing. Are you a dreamer? Do you struggle to stay focused? You need to have a focus for your social media or it won’t work out for you. Stay on track and remember why you’re on social media for your business… it’s too easy to float off and look at cat videos! 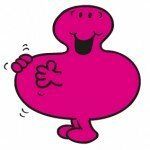 Mr Greedy: Mr Greedy eats everything he sees. He wants everything he lays his greedy eyes on. Don’t be like this with your social media. Don’t collect social media sites just because they’re there. Don’t be on every platform and struggle to manage them all. Be great at a few relevant sites; not mediocre at many. 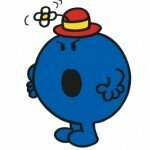 Mr Noisy: Mr Noisy is very noisy and shouts about everything. Everyone knows about him but they don’t like his noisy nature all the time. Mr Nobody: Mr Nobody is completely see through. He blends in with everything and nobody knows he’s there. He’s forgotten and not talked to… he’s invisible to his audience. Mr Birthday: Mr Birthday loves Birthday parties and he loves to celebrate. He finds any excuse to celebrate a birthday (presumably because he loved cake). You should celebrate too. Celebrate your successes in your business (however small) and show people the positive stories from your business. You’ll be amazed how much this draws you in interest. People like working with successful businesses so share your success stories. Mr Brave: Mr Brave is very, well, brave. He doesn’t shy away from challenges and he’s not afraid to try new things. He’s brave beyond brave and he doesn’t care what problems get in the way. Be like Mr Brave and try something new. Don’t always do what you’ve always done and expect different results. Mix it up, test things, make some changes, and measure the results that you get from it. Be brave enough to try something new – but also be brave enough to admit when it doesn’t work out. Then try something else! Mr Quiet: Mr Quiet never speaks. People don’t notice him. He keeps himself to himself and although he lives in the town he’s not spoken to at all. Don’t join social media and then forget to post on it. Don’t stay quiet and expect Twitter, Facebook or whatever you’re on to send you traffic and customers. People don’t notice when you’re not there – they only notice when you are. So be there and be there as much as you can. 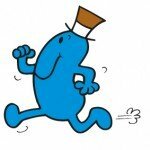 Mr Forgetful: Mr Forgetful forgets everything. He’s so forgetful that he probably forgets his own name. 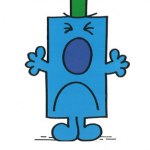 Mr Grumpy: Mr Grumpy is miserable and everyone knows it. He walks around with a grumpy outlook and he brings people down with him. We all have bad days. We all have down moments. Keep those to yourself or share with close friends and family. It’s just not very endearing to share those on social media or your blog, especially if it’s about a mistake you’ve made. 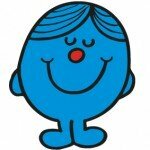 Be positive, and keep Mr Grumpy at arm’s length. Mr Wrong: Mr Wrong gets it all wrong… all the time! He’s a hapless wonder and everything he does turns into failure. Try new things and fail, yes, but don’t keep making the same mistakes. There are so many ways you can get better at social media. Get better at social media by learning from others. Also learn to accept when you get it wrong and try another way. A failure is only a failure if you don’t learn from it! Mr Perfect: Mr Perfect gets everything just right. Everything he does has to be perfect. Are you like that? Are you trying to be perfect all the time? I bet you get less posts out on social media. Do you know what? Being real is better than being perfect. Don’t worry if you’re rough around the edges on video or your pictures aren’t always amazing – you’re human and so are your audience. People respect others who show up, warts and all! It’s endearing to be human and I don’t trust hugely polished marketing; do you? 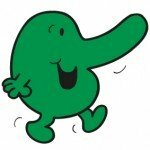 Mr Nosey: Mr Nosey’s always sticking his nose into other people’s business. If he hears people talking about something then he jumps straight in there, getting involved. On Twitter it’s perfectly fine to jump in on a conversation and start chatting. Take an interest, hit the conversation button, catch up and join in. Just don’t do this too much in real life, ok!? Little Miss Bossy: Little Miss Bossy always tells people what to do. She’s constantly giving orders, whether they’re wanted to or not. Don’t constantly tell people to buy from you. Don’t auto-DM people on Twitter and immediately tell them to download your eBook. Stop bossing people around. Sometimes it’s good to politely ask “Please RT” or “Please share” on your posts… Sometimes… Not always! It’s a balance: No one will be interested in working with you if you’re not busy working on the things you are trying to sell. There’s such a thing as being too available. But on the flip side, no one will trust you’re any good if you’re always busy sharing anything but your work. Look busy by sharing what you’re up to to demonstrate that you’re a popular choice. 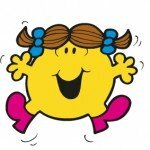 Little Miss Tidy: Little Miss Tidy keeps everything neat and tidy. Her whole life has to be neat and organised, and she has a place for everything. Take a leaf out of her book and make sure all your social media and online content is on brand and organised. Keep your online presence tidy and consistent so that when people find you online, on any platform, your brand will shine through. Tidy up your online world. 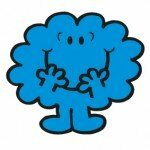 Mr Social: Mr Social was not in the Mr Men books so we’ve invented him. I’d like to think we could all emulate this character. Mr Social is a mix of the good parts from many of the characters to make him a superpower on social media. Mr Social is good at choosing the right social media channels. He selects the social platforms that best suits his business and where his customers are. Mr Social listens to these platforms, and when the time is right he shares his ideas and thoughts. Mr Social tells everyone about his successes and shares his journey so that people remember him. 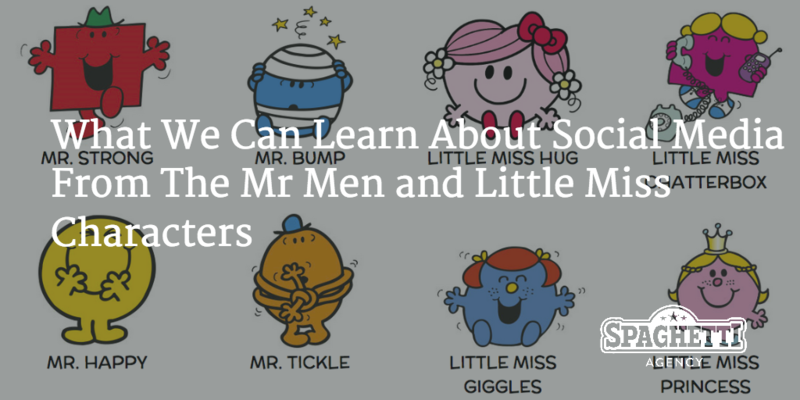 Mr Social is different from the other Mr Men and makes sure he’s seen as an expert in what he does. Mr Social doesn’t shout all the time. He doesn’t expect everything from one update a week, and he has a plan to keep him focused. 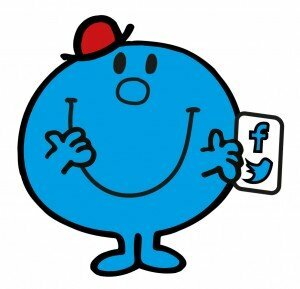 Mr Social is a likable and upbeat chap who people want to talk to. He helps people no matter what the problem is, as he enjoys helping and knows the importance of relationship building. 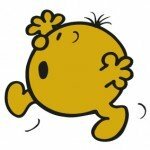 What will you learn from the Mr Men? 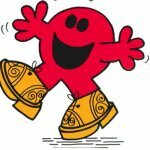 I’d love to know your favourite Mr Man or Little Miss, and why you loved them so much. What else do you think they can teach us?. Comment below and we’ll discuss it! Can’t believe no one else has commented yet as this is your BEST BLOG YET! It is rather long, but so worth it. And I found myself nodding in agreement all the way through as I’ve certainly met most of these characters at some point or other on social media. As for my favourite? 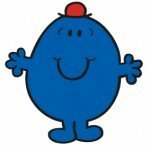 It has to be Mr Tickle. I love the idea of tickling your audience to get their attention. He also has extremely long arms enabling him to reach a wide audience, plus more than two – meaning he can be active on multiple platforms. P.S. The illustrations are fab too. Is that Jetpack Squirrel’s work? Love this blog, and your Periscope version was perfect timing. Listened, learnt, agreed, all whilst cooking tea. Great to have you on Periscope and thanks for checking out the post too! Enjoyed this Todd, a nice way to explain social and its characters 🙂 Thumbs up! 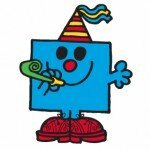 My favourite was always Mr Happy, possibly because the book was my prize for winning the egg and spoon race when I was five! Love the use of this iconic series to explain something so contemporary. is that funny. you remembered the book because it was relevant to you. Power, isn’t it?